After studying the data that we have gathered for our NOW Thyroid Energy review, we think that this supplement is worth trying out. In this NOW Thyroid Energy review, our goal is to determine what makes this thyroid supplement different from other products and whether it is worth your while to try. We also want to know whether the claims of the manufacturer are true. 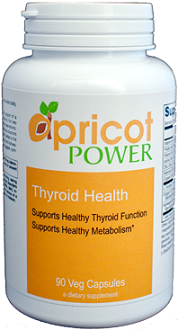 According to NOW, this product is a complete supplement that will support thyroid gland function. It has combined several important ingredients that will enhance thyroid function while the rest of the ingredients will provide support. Do you want to know more? Read on. Inactive ingredients: Cellulose, cellulose powder, magnesium stearate, silica. 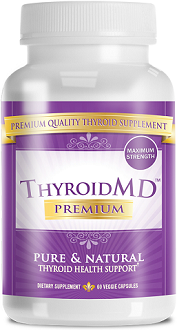 The presence of iodine and tyrosine in this thyroid supplement is comforting as these two compounds are important when it comes to synthesizing thyroid secretions. The appearance of selenium, copper, and zinc are worth noting as they can help with boosting normal thyroid function. 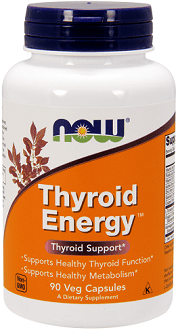 The addition of the herbal extracts Ashwagandha and Guggul completes the power of NOW’s Thyroid Energy Supplement. According to the manufacturer, you will need to take two capsules of this thyroid supplement daily. You should divide the intake of your daily dose. There is no indication as to when the best time is to take this supplement is and whether you need to take it with or without a meal. You should store the product in a cool and dry place once the bottle is opened to preserve it. Pregnant women, children below 18, and those who are taking medication should consult their doctors first. Mild side effects may occur such as GI upset. With regards to the price of NOW Thyroid Energy, you will only need to pay $19.99 for a single bottle containing 90 capsules. 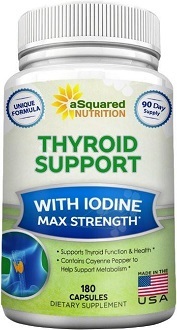 If you want to stock up on this thyroid supplement, you can opt for the 180 vegetable capsules for only $35.99. The prices are relatively cheap which means that you can purchase them even if you are on a budget. We did not find any mention of a money-back guarantee from the manufacturer’s website or any other site. This may increase your risk if you are trying this product out for the first time. After studying the data that we have gathered for our NOW Thyroid Energy review, we think that this supplement is worth trying out. For starters, all the ingredients listed on the label of the product have positive effects on the thyroid from enhancing its function as well as providing additional support so hormones will be regulated properly. The price for this particular supplement is also cheap. However, cheap isn’t always a good thing and may indicate a poorer quality of ingredients. Also, there is no mention of a money-back guarantee from the manufacturer. A guarantee is usually a good sign of the confidence a manufacturer has in their product. You should consider these factors if you are thinking of getting this product for your thyroid needs.